Pale Ale, an aggressively hopped American style Pale Ale. HopBack Amber Ale, a wonderfully hoppy Amber Ale that is Tröegs signature brew. Rugged Trail Ale, a classic English Brown Ale. Dreamweaver Wheat, an unfiltered flavorful wheat beer. All of these beers are delicious, as are Tröegs seasonal brews like Mad Elf and Nugget Nectar. 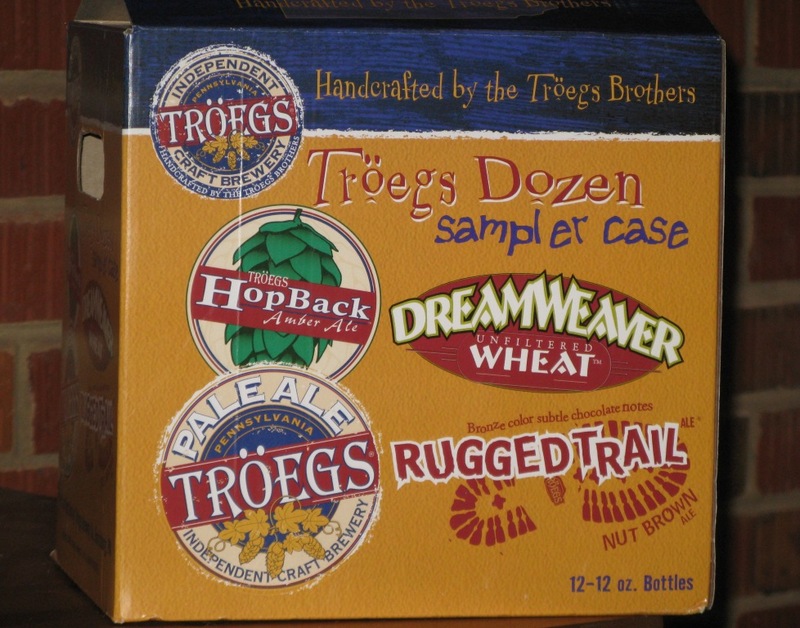 I’m a big fan of Tröegs, and really enjoyed our visit to the Harrisburg brewery in February 2007. We went snow tubing at Whitetail Resort in Mercersburg, PA, just a 90 minute drive from our home in Kensington. After a couple of fun hours snow tubing we drove to Hagerstown, where we shopped at the outlet mall, met the Mummert family for dinner, and stayed at a comfortable SpringHill Suites (February 27). The fun didn’t stop there — on the way home the next day, we stopped for lunch at Brewers Alley in Frederick, which will be the subject of my next blog post!